Specializing in the neck, back, muscle, bone and the nervous systems, Chiropractic treats pain and together with exercise, proper posture and gentle adjustments, recurring pain such as headaches and back aches are eliminated. The most advanced non-surgical, non-invasive treatment procedure for medical conditions including: herniated discs, bulging discs, degenerated discs, spinal arthritis, sciatica, nerve pain, slipped disc, failed back surgery and other low back pain and neck pain conditions. Our male or female therapists will assessment and use gentle physical mobilization of the soft tissue and joints of the body including: skin, muscles, tendons, fascia, ligaments, and joint capsules to treat areas of discomfort or an appointment can be booked for general relaxation. A chiropodist is a primary healthcare profession specializing in the assessment, treatment and prevention of foot disorders that affect children, adults and seniors with a variety of foot problems. 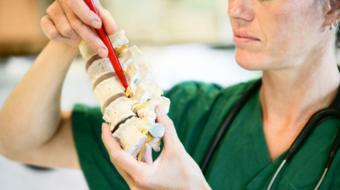 Neck & Back Pain, Sports Injuries, Repetitive Strain Injuries (e.g. Tennis elbow), Arthritis, Post Operative Treatment, Stress Management, Nerve Pain, Whiplash Injuries, Muscle & Tendon Injuries. When management of pain is of a particular issue, some patients respond particularly well to this Traditional Chinese Medicine. Are you a health practitioner that works at Dundas Chiropratic Center? Sign up with Health Choices First.